This season the Tigers lost at home to a non-conference opponent for the first time since 2000, Nick Saban’s first season, and lost at Mississippi St. for the first time since 1999. I was bracing for another such loss being that 1999 was the last time they lost at home to Auburn, but somehow they escaped. That was known as the Cigar Game, by the way. Tommy Tuberville and company smoked cigars after the game even though LSU was pathetic that year. Tuberville beat basically the same LSU team when he was at Ole Miss the year before (and his predecessor Terry Bowden had won in Baton Rouge in 1997), but he wanted to act like he accomplished something special. Maybe we can call it the Cigar Curse if this keeps up. Maybe Auburn can hire Tubs back and he can defeat his own curse. Gene Chizik, Gus Malzahn, and Terry Bowden can be his assistants. 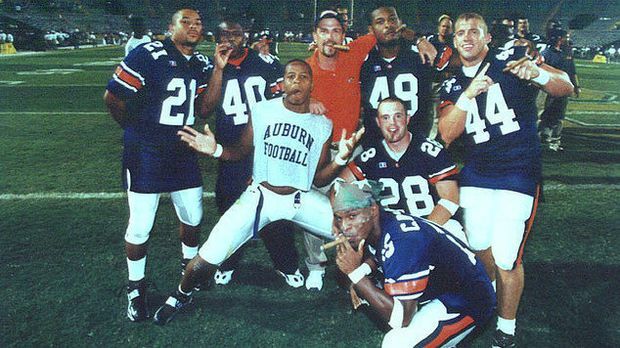 Auburn players celebrate after the Cigar Game in 1999. 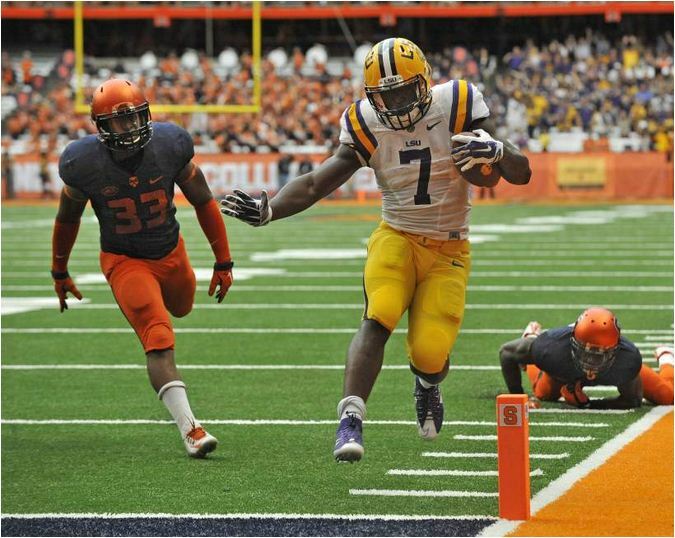 LSU has had its longest home winning streak against Auburn in the years since. I’m not worried though, keep up the low expectations. I don’t think the 2003 team was nearly as good as the 2007 and 2011 teams, but no one saw the 2003 performance coming. I think that was preferable. I didn’t realize this going in, but this was actually the first competitive LSU-Auburn game in Tiger Stadium since 2007. 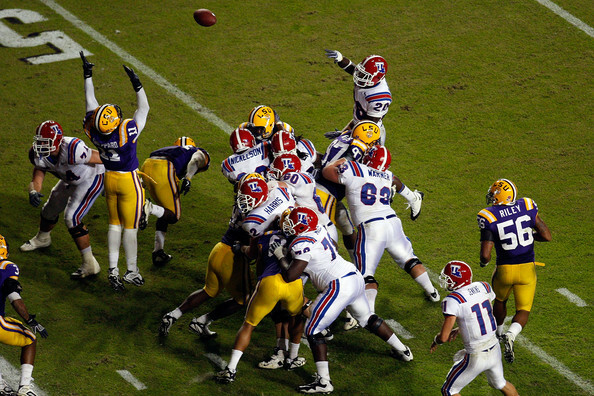 That was when LSU only needed a field goal to win, but Matt Flynn threw a touchdown to Demetrius Byrd that was caught with about 3 seconds left (although the ensuing kickoff was with 1 second left). Appropriately enough, the 2007 team was in attendance on Saturday. 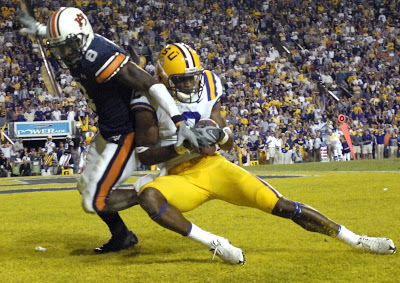 The 2007 game came two years after an overtime win by LSU which resulted from multiple missed field goals by Auburn. It was nice to get another close win against Auburn in light of the 4-point loss in 1994 (the disaster on the plains), the 1-point loss in 2004 (the extra point game), the 4-point loss in 2006 (Refgate), the 7-point loss in 2010 (I don’t think it had a nickname; it was just a good close game on the way to Auburn’s national championship), and the 5-point loss last season (I guess we can call it the end of an era since it was Les Miles’ last game). The other games mentioned in this paragraph were all at Auburn, where LSU has only won twice since 1998. This was the first year since 1980 in which LSU beat Auburn and Florida with at least one of those wins coming on the road. Just like this year, there were also wins at Florida and at home against Auburn that season. That year was the last of four consecutive LSU wins against Florida, which has not been repeated since then. LSU has won 6 of 8 against the Gators and 3 of the last 4 in Gainesville though. All three of those wins in Gainesville were decided in the final moments, and this was the ninth LSU-Florida game since (and including) 2004 that was decided by one possession. Before the loss to LSU, Florida had won 14 of 15 home games and 10 of the last 11 decided by 8 points or fewer (with the previous close loss coming to LSU in 2015). Now both LSU and Texas A&M have won close games in the Swamp (by 1 and 2 points respectively) in consecutive weeks. The Gators’ remaining home games this season are against UAB and Florida St.
For more on these series, see the Auburn and Florida rivalry blogs. So I’ve talked about pundits and I’ve talked about historical significance. I’d like to talk a little more about Saturday’s game and what I think brought about the result. I’ve mentioned this is still a young inexperienced team, but let’s recap a couple of things they have seen in recent weeks. As we have been reminded dozens of times now, yes, they lost to Troy, but let’s look at that.. Troy was up 17-0 in the second half. Had it been 17-0 at halftime, maybe LSU wins. Had the coaching staff not panicked a bit by calling an onsides kick only halfway through the fourth quarter, the Tigers may have completed the comeback. 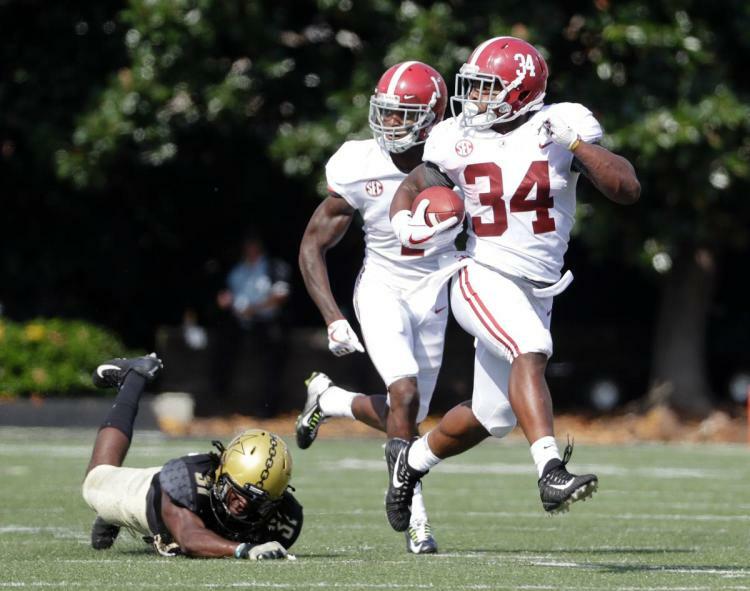 Also, after the Tigers’ initial touchdown, Troy scored again and still led by 17 well into the fourth quarter. There was another home game where it was the opposite situation. 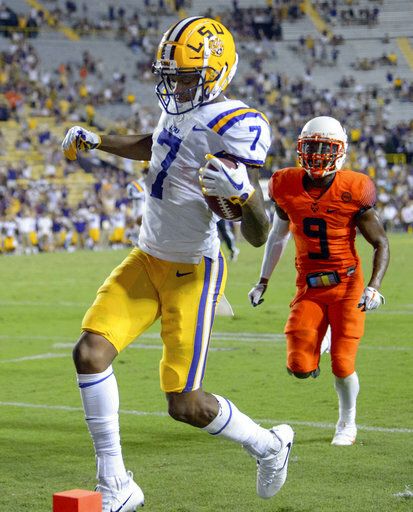 It was LSU who seemed to have the game in control and what was an 18-point LSU lead with 20 minutes left in the game became a 28-26 lead with 5 minutes left in the game. 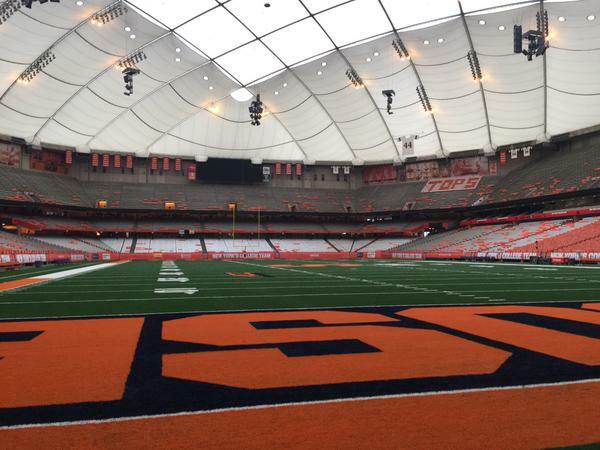 So if Syracuse can reduce a lead by 16 points in 15 minutes on the road and LSU can reduce a lead by 14 points in 6 minutes in a nearly-empty stadium, 42 ½ minutes (especially with a nearly-full stadium) should have seemed like plenty of time to close a 20-point gap. Nine points in 30 minutes? Easy. Florida isn’t exactly analogous, but there were two things to take from that as well. The first is LSU had the lead and despite an anemic offense, the defense realized (according to Orgeron anyway) that if Florida didn’t score over the last 17 minutes they couldn’t win. The other point was that it only took 6 minutes to close the gap from 17-3 to 17-16. I think having Syracuse, Troy, and Florida in consecutive weeks was more than enough for this team to know there was no reason to give up hope. I don’t agree with many commentators that the turning point was the punt return. That is what made it a 2-point game. What about the plays that made it only a 9-point lead before that? 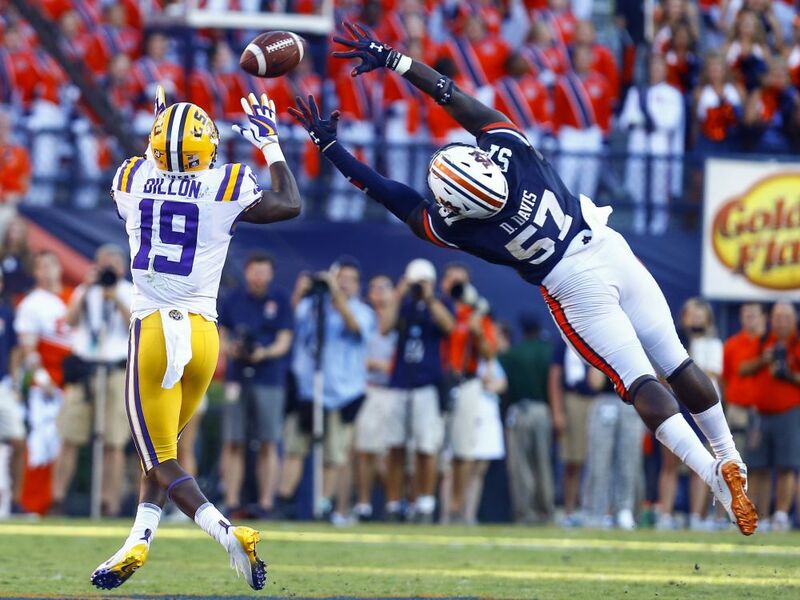 The first important thing was the LSU defense drawing the line at the 20-yardline so Auburn didn’t go ahead 24-0. I’ve been a critic, including in this blog, of some of Orgeron’s decisions, but like when Les Miles called 5 fourth-down attempts against Florida in the 2007 season, he made (in hindsight anyway) the right call time after time. Russell Gage’s 70-yard run helped set up the Tigers’ first score. When LSU got the ball back, some would have said to just take the field goal “to get some points on the board” facing a fourth and goal down 20-0, but he went for it. I doubt he called the play, but he certainly didn’t object when the jet sweep was called even though Auburn had been covering that particular play. It’s hard to narrow it down to one decision before the half, but the Tigers played for the touchdown (not for a field goal as some recent offensive coordinators would have done), but they did it in such a way that the touchdown (or perhaps short field goal had it been necessary) was scored with less than a minute left. I’m not going to pretend I knew we had a win at that point, but I had resigned myself to being down 13 or 14 at the half (after the first touchdown; I was of course more pessimistic before that). I was honestly excited that we only ended up down 9. 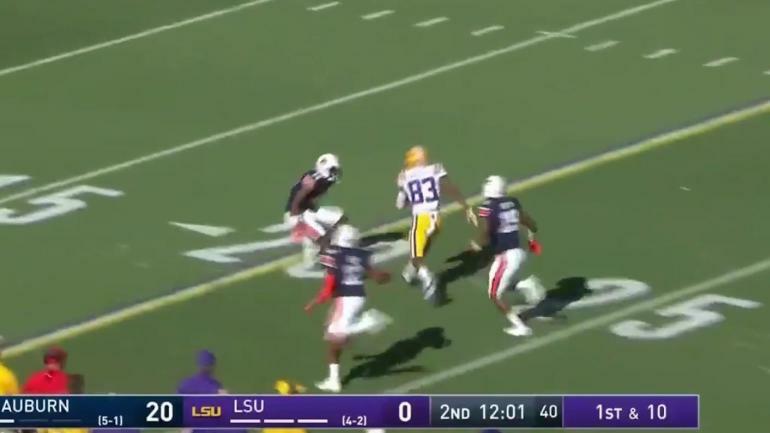 After LSU punted in its first three possessions of the second half and the previous punt couldn’t even be downed before rolling into the end zone, another punt had to be hard to call at the Auburn 36. This was the possession after Malzahn lost his nerve before a 4th and 1 at midfield. 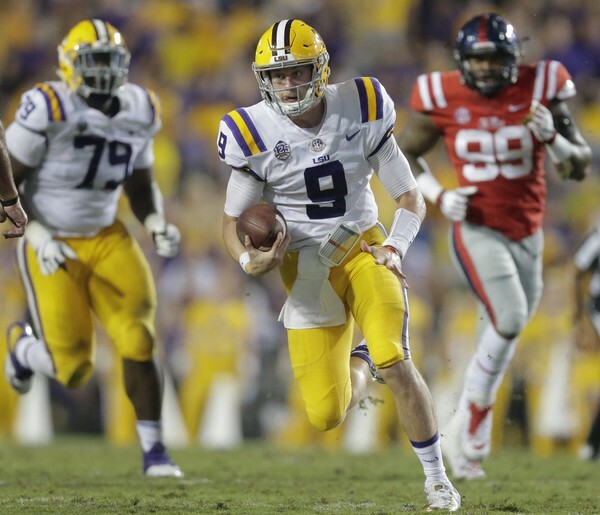 LSU didn’t really have a good chance of converting, but some coaches might have tried the long field goal even though it was a likely miss just to say they tried to take the lead. Had LSU lost, that would have been a criticism. Then the special teams came through and downed the ball at the 3. LSU did have to take the points on the next possession. Despite the field goal woes, 42 yards was close enough that they had to try for the lead even though it was 4th and 1. Another right decision. Malzahn had to be the one to answer questions about his fourth-down decisions after the game. Why go on 4th and 10 but not on 4th and 1? Did you not believe your defense could stop LSU all the same without giving them the ball in field goal position? On the final drive though, LSU finally did play for a field goal. It’s like a sacrifice in baseball. They give you an out at first base, throw it to first base. Don’t do anything crazy. Orgeron could have tried for a touchdown Mad-Hatter-style; but even though LSU had been down most of the day, when you have the lead you act like you can keep the lead. Of course it make it easier to come back without penalties and turnovers that continued to haunt the Tigers in the second half against Troy, but those coaching decisions were key in this game. A new pet peeve after the game is that Gus Malzahn said multiple times that Auburn controls its own destiny, and this was accepted without question by the media. Actually, someone at Auburn might have heard it during the game broadcast. If LSU and Auburn each finish with one loss, what happens? Spoiler alert: Auburn doesn’t represent the West. I don’t know how that many people who get paid to do so don’t bother to think for themselves. I’m not saying LSU is going to beat Alabama, but it would be less strange than losing to Troy or beating Auburn after being down 20 points. 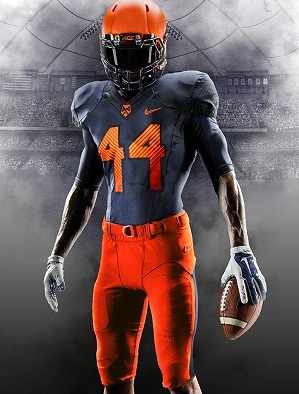 It would be less strange than Syracuse beating Clemson. LSU is given a 65% chance or greater (in ESPN’s FPI formula anyway) to win each of their remaining games except against Alabama. Auburn is given a 52% chance to beat Georgia and a 75% chance to beat A&M, but I’m not buying either one. If I put $100 on A&M to beat Auburn at home, you’re really going to give me $300 back if they do so? I also don’t think Auburn is 5 times as likely to beat Alabama as LSU is. Anyway, another big rivalry game next week. After these last few games, I’m looking forward to the bye week though. What Happened: LSU @ Mississippi St.
Before I begin, I’ve updated my rivalry blog for the LSU-Mississippi St. series. The Bulldogs ended LSU’s run of 8 straight wins in Starkville (the longest such streak by either team if you don’t count LSU’s run at home that ended a few years ago) and also beat the Tigers by the largest margin of victory ever. 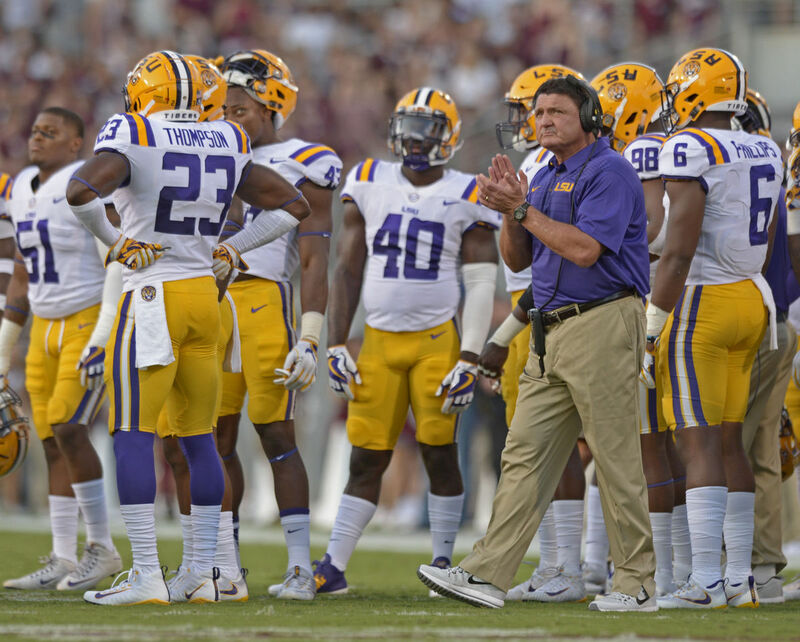 Although LSU had not lost in Starkville since 1999, Ed Orgeron is now 0-3 there as a head coach. Ole Miss did beat the Bulldogs the one time he faced them at home. I wanted to write to explain what happened in the game this evening. I’m not offering excuses (it was a deserved loss) and not trying to take anything away from Mississippi St. for playing well and having a good game plan; but there are reasons this game got away from LSU, and one of those reasons was not that Mississippi St. had more talent. One thing is the early touchdown that was taken away from LSU for no good reason. The game starting out 14-7 in LSU’s favor is a completely different scenario from Mississippi St. starting the second half with the ball up 17-7. Of course, LSU’s second touchdown never came. There were a couple of other Mississippi St. drives in the first half that were either extended by penalties (at least one of which should not have been called) or by an LSU player accidentally knocking down a potential tackler. I don’t remember which one of those led to touchdowns or field goals, but all but a couple of drives ended in one or the other. 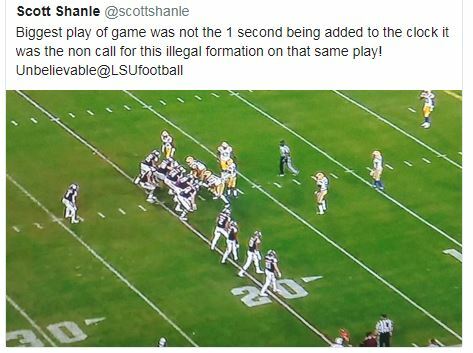 LSU had stops when the whistle was blown on other occasions, but they had no one to blame but themselves. 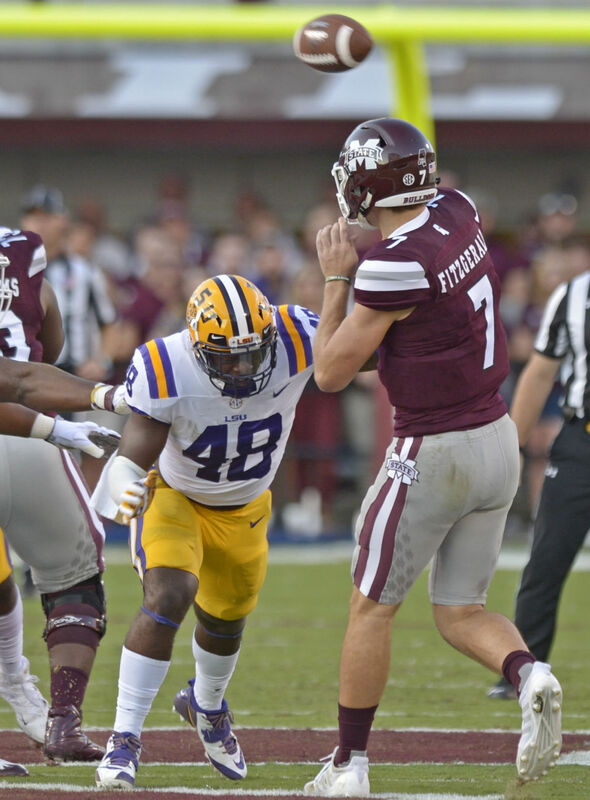 A defensive lineman had already been injured in the first half, and when LSU momentarily had a three-and-out to start the second half (which could have been a turning point for the Tigers), a defensive lineman was ejected for a completely stupid targeting penalty. Within a few minutes of that ejection, LSU got a second ejection for a similar penalty. I don’t think that was an intentional head-to-head hit, but you don’t take the chance of being called for a late hit when it can’t benefit the play. 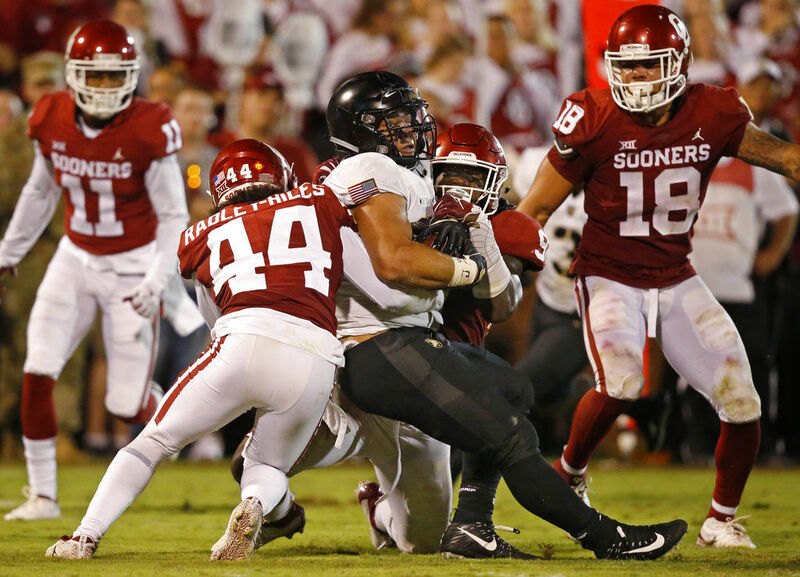 It was a targeting in my opinion because right as the defender approached, the quarterback turned his head toward the defender (after he released the ball), causing a collision between the defender’s helmet and the quarterback’s facemask. In all, LSU was penalized for 112 yards, but that doesn’t count the 66-yard (If I heard correctly; I didn’t see it) touchdown pass that was taken off of the board. The Tigers also had to score twice on the actual touchdown drive that took place because of a deserved penalty. After the ejections, LSU had almost no chance to win whatsoever. The linebackers and secondary tried to support the defensive line, but you can’t do that without opening up passes over the top of the defense. This was demonstrated by the second-to-last touchdown where the receiver could have walked into the end zone if he wanted to. 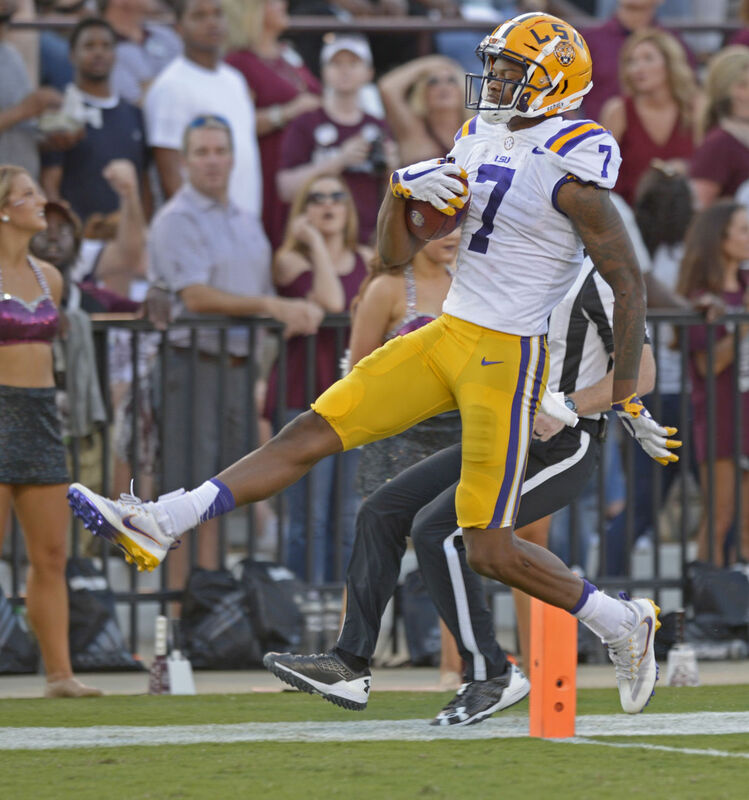 DJ Chark scores an apparent touchdown that was called back due to a phantom penalty. 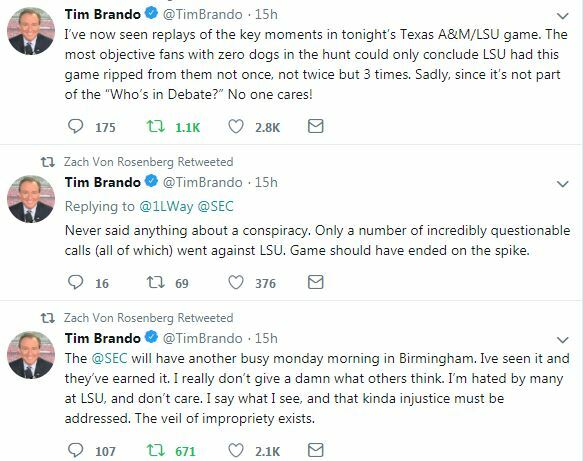 It also didn’t help that multiple LSU passes that could have given them some offensive rhythm (not to mention helping out the run and giving the defense a chance to catch its breath) were dropped. Both sides of the ball got more and more desperate as the score got worse. The defense over-pursued in the backfield (or got flagged for interference), and the offense had overly ambitious downfield throws. I ranked LSU #14 in preseason because I thought that’s where they would finish, not because I thought LSU would play that way consistently in September. I still think the talent is there to finish in that area or higher, but when you have 5 returning defensive starters in their first road game and you lose 3 players, it’s awfully tough to defend an offense like Mississippi St.’s. To give some credit where it’s due, MSU’s Nick Fitzgerald showed good poise in the pocket even before the ejections and injuries. The ejections come with disqualifications from the first half of the next game against Syracuse (in Baton Rouge). If LSU loses to Syracuse, then I’ll admit I overestimated this team significantly, but I have a feeling the Tigers both upper- and lowerclassmen will play with more consistency and confidence in that game. There are two very winnable games coming up (also a home game against Troy), and despite the win over Tennessee today, Florida is vulnerable. If LSU gets behind the 8-ball again, that could be another long and miserable road game, but if not it could be pretty competitive. I did pick Florida ahead of LSU in preseason, but we’ll see.